At the time of the 1841 census, when he was a single man aged 30, Luff was living over his Cornmarket shop with Emma Luff (25) and Richard Luff (15), who are likely to be his younger siblings. Two “independent” people were also living on the premises: Samuel Baker (53) and John Baker (16). Prudence Harris was born in Elsfield in 1808, the daughter of Joseph Harris, a dairyman, and his wife Hannah, and was baptised there on 12 June that year. At the time of the 1841 census she was one of the three female servants of Mary Williams, who lived at the east end of Oxford’s High Street, in the parish of St Peter-in-the-East. 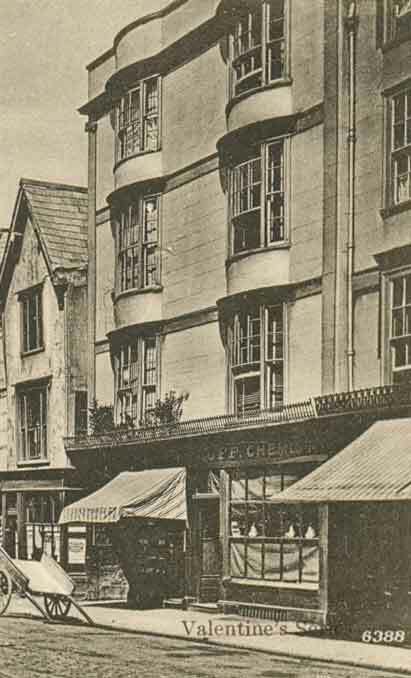 William Luff remained a chemist and druggist at the former shop that stood at 24 Cornmarket Street for the rest of his working life: it can be seen on the right in about 1905, when his son’s name was above the door. In April 1847 Luff was elected Overseer for St Michael’s parish. At the time of the 1861 census William and Prudence Luff (both aged 50) were at home with their five surviving children, all of whom were still at school: Prudence (17), Mary (16), William (15), Ann (11), and Elizabeth (10). There was a new apprentice, and one servant. By 1871, only three of the children were at home: Prudence (27), William (25), who was now his father’s assistant chemist, and Elizabeth (20). Ann was visiting a farmer’s family in Charlton-on-Otmoor, while Mary is hard to find. On 31 December 1874 at St Paul's Church, Oxford, William Luff junior (25), described as a chemist of 2 Walton Crescent, married Rosa Ellen Harris (26) of Walton Street, the daughter of John Harris, the common room servant of Lincoln College. On 29 April 1876 at St Michael's Church, Oxford, Ann Luff married William Woodford, a grocer of Abingdon. They went to live at East St Helen’s Street in Abingdon, and their son William Luff Woodford was baptised there on 4 February 1878, but died eight months later. † Mrs Prudence Luff, née Harris died at Cornmarket Street at the age of 70 in 1879 and was buried at St Sepulchre’s Cemetery on 3 April (burial recorded in the parish register of St Michael’s Church). At the time of the 1881 census William Luff senior (70) was still working as a chemist at 24 Cornmarket Street and living over the shop with his three unmarried daughters Prudence (37), Mary (36), and Elizabeth (30). Thomas Haynes (25), a chemist’s assistant born in Ireland, was living with them, and they had a general servant. On 15 October 1884 at St Michael's Church, Oxford, Elizabeth Luff (34) married her father’s assistant Thomas Edward Haynes (26), and her sister Mrs Annie Prudence Woodford was a witness. In 1889 Luff’s assistant chemist, Edgar George Wilson, was drowned in the Thames when rescuing two boys in the water. William Luff (80) was still working as a chemist & druggist and living at 24 Cornmarket Street at the time of the 1891 census. His daughter Mrs Ann Woodford (41) was living with him and acting as his housekeeper, and her children Annie Prudence Woodford (14) and William Luff Woodford (10) also lived in the house, as well as a new chemist’s assistant, John Goodchild, and a servant. Meanwhile his two unmarried daughters were living at 7 Gunterstone Road Fulham: Prudence (46) was the principal of a high school, and Mary (43) was a partner in the school. Also living with them was a junior teacher, a kindergarten mistress, one 12-year-old pupil, and a servant. † Miss Mary Luff died at 7 Gunterstone Road, Fulham at the age of 48 in December 1892 and was buried at St Sepulchre’s Cemetery on 5 January 1893 (burial recorded in the parish register of St Michael’s Church). † William Luff died at 29 Rectory Road in East Oxford (then called Pembroke Street) at the age of 83 on 19 November 1893 and was buried at St Sepulchre’s Cemetery on 22 November (burial recorded in the parish register of St Michael’s Church). His effects came to £1,085 4s. 10d., and probate was granted to his eldest daughter Prudence Luff. 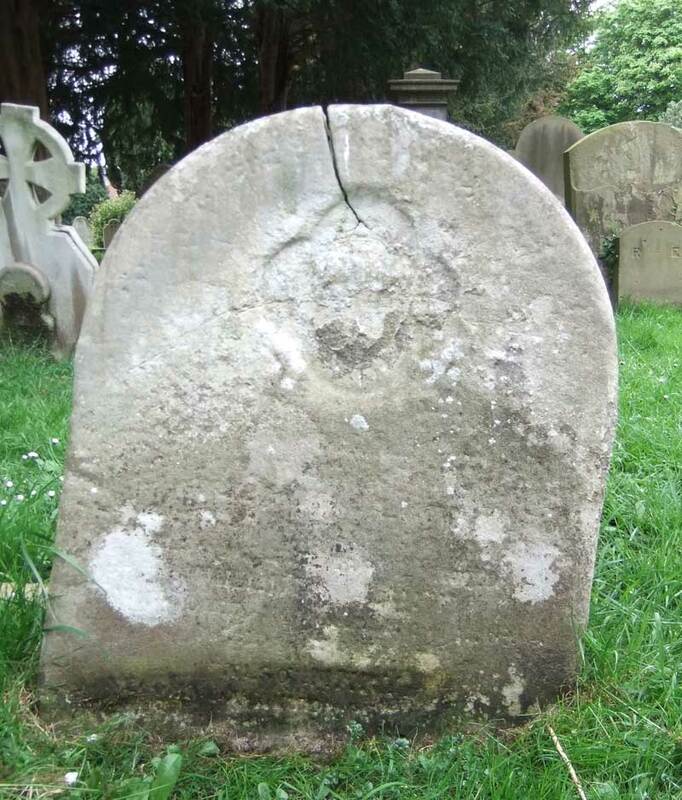 † Miss Prudence Luff died at 41 Bartlemas Road at the age of 57 on 24 November 1900 and was buried on 28 November (probably at St Sepulchre’s Cemetery, as the burial is recorded in the parish register of St Michael’s Church). Ann Luff, Mrs Woodford (born 1849) appears to have separated from her husband William Woodford, as at the time of the 1881 census she was living at 65 Kingston Road in Oxford with her children Annie Prudence Woodford (4), Lilian Rebecca Woodford (2), and William Luff Woodford (three months), and despite being married was the head of the household. (She must have moved back to Oxford from Abingdon between the birth of Lilian in Abingdon in late 1879 and the birth of William in Ss Philip & James parish, Oxford at the beginning of 1881.) By 1861 she had gone back to 24 Cornmarket Street to work as her father’s housekeeper (this move probably took place after her sister Elizabeth’s marriage in 1884), and still described herself as married. By 1899 she had moved into 41 Bartlemas Road, and can be found there in the 1901 census with her son William (20), who was a foreman on a farm: she now described herself as a widow, and gave her occupation as “Take Boarders”, although she only had one at the time of the census. Elizabeth Luff, Mrs Haynes (born 1850) and her husband Thomas Edward Haynes are hard to trace after their marriage in 1884.